Searching for edible mushrooms can be a challenging experience because there are so many different species that grow in the wild. Additionally, mushrooms of the same species can vary in appearance according to region. Therefore, learning to identify certain edible species is an important skill because poisonous varieties often resemble edible fungi. Normally considered safe to eat, the bolete mushroom is widely found in Europe and North America. This type of mushroom grows in deciduous and coniferous wooded areas, and there are more than 200 bolete species in North America alone. Look for bolete caps that are usually brown (possibly with a touch of red) in color. According to the Missouri Department of Conservation, these fungi often look like large hamburgers atop bulky stalks. You can easily pull the caps off the stalks to view the undersides. Turn the mushroom cap over and study the fleshy part of the fungi. If you see a sponge-like layer, rather than “gills,” it may be an edible bolete mushroom species. This species’ flesh has more of a tube-like appearance. The spongy, porous flesh is often white, yellow, olive-green or brown. 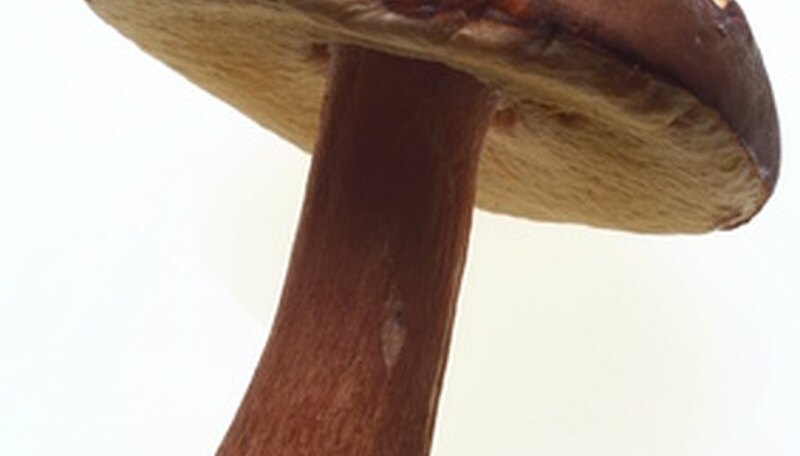 According to Cornell University, fresh bolete mushrooms are normally plump and fleshy and have thick spongy tubes on the underside portion of the caps. Observe the size and weight of the mushroom as well. Bolete fungi can grow up to 10 inches in height and the caps can range between 1 and 10 inches in width. Some larger mushrooms can weight about 6 lb. each. 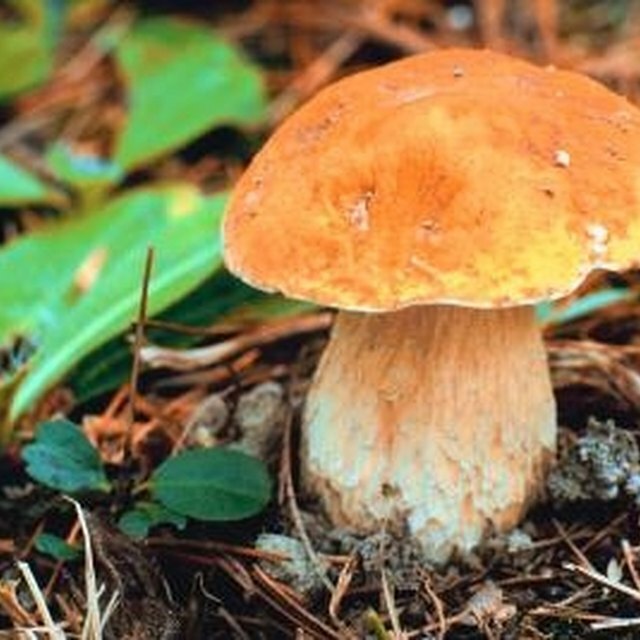 Avoid picking boletes that have orange or red pores because these species are poisonous. Look for these mushrooms in the summer and fall months. They often grow under trees, specifically pines, and on the ground. Albeit not poisonous, some bolete species are sour. Some boletes' caps have a slimy layer on the caps. Wash this off because it may cause diarrhea. Mitchell, Linda. "How to Identify Edible Bolete Mushrooms." Sciencing, https://sciencing.com/identify-edible-bolete-mushrooms-7728421.html. 24 April 2017.